Day trips or longer trips in the region, especially in the backwaters by boat, are like time travel into another world. Varkala, about 60 km north, is a small pilgrim destination with a picturesque cliff coast. You can access its wonderful long beach by a stairway, or you can do it the easy way and take a rikshaw. Above the cliffs are many restaurants, cafes, bars, hotels and shops, and, most importantly, a breathtaking view. Another attraction here is the Ponmudi Hills Station, with its plantations of tea and spices, and the Nayardamm Wild Life Resort, where you can watch wild animals from the boat. A small tip: take the first trip in the morning, then you can see the most animals when they come early to the water. 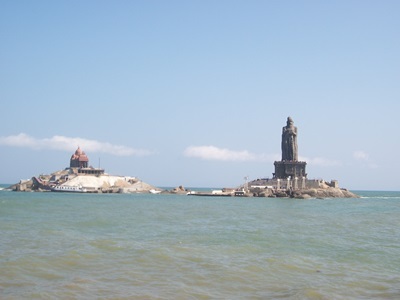 A trip to the southern tip of India, Kanyakumary or Kap Komorin, is absolutely worthwhile. Here, three seas meet (the Indian Ocean, the Arabian Sea and the Sea of the Bengal Bay). 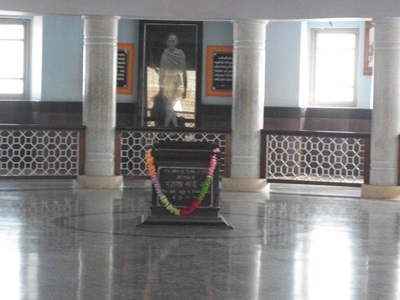 And there is also the Gandhi Memorial, where this leader’s ashes were given to the sea. 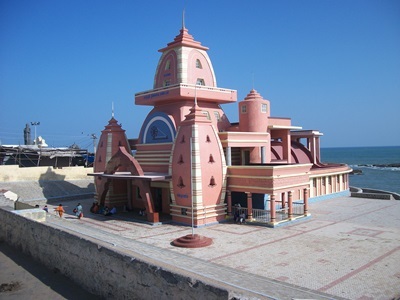 It is a holy place of pilgrimage. Swimming is allowed only in hotels, as the beaches serve only the religious rituals and one is not supposed to undress there. Throughout the village you should wear at least half sleeves, and have your knees covered! earlier the better to avoid queues. For the way back, I'd recommend a detour via Madurai, one of the oldest cities in South Asia, with huge temples whose Gopurams (gateway towers) dominate the townscape of Madurais. The temple, built primarily during the Nayak period in the 15th to 17th century, is one of the most outstanding examples of dravidian temple architecture.